Olivia Drouhaut is the Manager of Programs & Business Development at EMPEA, where she is responsible for organizing and coordinating conferences, trainings and web seminars within EMPEA’s programs portfolio, including the IFC/EMPEA Global Private Equity Conference, the Private Equity in Africa and Sustainability Investing in Emerging Markets, the EMPEA Masterclass series hosted globally and the EMPEA Professional Development Webcast series. In addition to program development, Olivia manages the business development side on sponsorship relationship, lead generation, event partnerships and is responsible for the creation and execution of budget plans for EMPEA Programs. 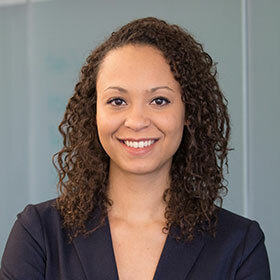 Prior to joining EMPEA, Olivia led consulting projects for the State Department and the World Bank on program design evaluation and communications. She worked in monitoring and evaluation at Helen Keller International for the Morbidity Management and Disability Prevention (MMDP) project for Blinding Trachoma and Lymphatic Filariasis in Burkina Faso, Cameroon and Ethiopia. Olivia served in the Peace Corps as a community health volunteer in Mozambique for three years, supporting Johns Hopkins Center for Communications Programs’ projects on the field. She is a polyglot, speaking English, French, Portuguese and Spanish. Olivia earned an Executive Master in International Affairs and Development at American University. Her Bachelor with honors in Communications studies and Film from Pace University in New York City and obtained her Baccalaureate in Literature in Paris, France. Olivia complemented her degree with studies at Xiamen University and Suzhou University studying Mandarin Chinese.